Crushing on ... lilah b. Since I first used my bubble gum flavored Kissing Potion Lip Gloss in 8th grade, I have been a committed low fi beauty routine gal. It all begins with a good face cream (I love Yonka) and then a bit of cheek and lip color, a swipe of mascara and then I am out of the door. 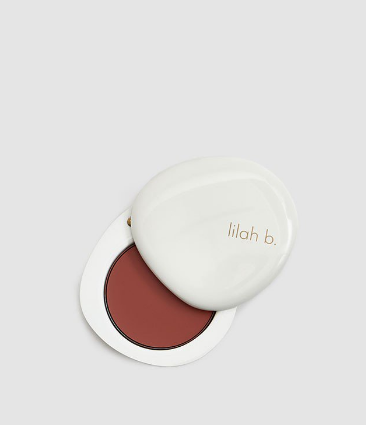 So naturally I would swoon over products that do more than one things, like lilah b.’s creamy, matte lip and cheek duo - a long-wearing and moisturizing formula provides that provides blendable and buildable color. Made in Italy, this routine game changer is formulated with coconut oil to smooth and moisturize; aloe to soothe and moisturize; and agar to leave skin hydrated and glowing. Best of all it is vegan and cruelty-free.